RADIUS - Remote Authentication Dial In User Service (RADIUS) is a networking protocol that provides centralized Authentication, Authorization, and Accounting (AAA) management for computers to connect and use a network service. RADIUS is often used by ISPs and enterprises to manage access to the Internet or internal networks, and wireless networks. Microsoft's answer to corporate wireless security is the use of RADIUS authentication through its Internet Authentication Services (IAS) product. RAID (Redundant Array of Inexpensive Disks) - RAID employs two or more drives in combination for fault tolerance and/or performance. There are different raid configurations that are referred to as "levels". Raid levels 0 (Disk Stiping Without Parity), 1 (Disk Mirroring), and 5 (Disk Stiping With Parity) are the most common varieties. See the links below for in-depth descriptions of the various raid levels. RAM - Stands for Random Access Memory. RAM volatile memory and its contents can be accessed in any order unlike other storage methods (hard drive, floppy, CDROM, etc). Computers use RAM to hold the program code and data during execution. Over the years a variety of memory types have emerged including DIP, SIP, SIMM, DIMM, RIMM, etc. RAS (Remote Access Service) - RAS refers to any combination of hardware and software to enable remote access to a network. A RAS server is a specialized computer which aggregates multiple communication channels together. An example of this would be a server that dial-up users dial into. The term was originally coined by Microsoft during the Windows NT era and is now called Routing and Remote Access Service (RRAS). RDRAM - Rambus DRAM adds support for even faster bus speeds and first surfaced around the time of the Pentium IV. RDRAM uses RIMMS which require a heat spreader to be attached to the RIMM to deal with its increased heat levels. Unused slots on a RDRAM motherboard must be terminated with a CRIMM in order to function. 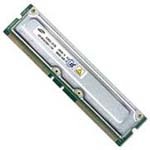 Although it is faster than many other types of RAM, the technology never really caught on due to high prices. Registry - A central hierarchical database used in Microsoft Windows 9x, CE, NT, 2000, 2003, and XP. The registry is used to store information necessary to configure the system for one or more users, applications and hardware devices. The Registry contains information that Windows continually references during operation, such as profiles for each user, the applications installed on the computer and the types of documents that each can create, property sheet settings for folders and application icons, what hardware exists on the system, and the ports that are being used. A registry hive is a group of keys, subkeys, and values in the registry that has a set of supporting files containing backups of its data. The supporting files for all hives except HKEY_CURRENT_USER are in the Systemroot\System32\Config folder on Windows NT 4.0, Windows 2000, Windows XP, and Windows Server 2003; the supporting files for HKEY_CURRENT_USER are in the Systemroot\Profiles\Username folder. The file name extensions of the files in these folders, and, sometimes, a lack of an extension, indicate the type of data they contain. HKEY_CURRENT_USER Contains the root of the configuration information for the user who is currently logged on and contains their profile. HKEY_USERS Contains the root of all user profiles on the computer. HKEY_CURRENT_USER is an alias for a subkey in the HKEY_USERS subtree. HKEY_LOCAL_MACHINE Contains configuration information particular to the computer(for any user). HKEY_CLASSES_ROOT A subkey of HKEY_LOCAL_MACHINE\Software. The information stored here ensures that the correct program opens when you open a file by using Windows Explorer. Repeater - A physical layer device that boosts signals in order to allow a signal to travel farther and prevent attenuation. Attentuation is the degradation of a signal as it travels farther from its origination. Repeaters do not filter packets and will forward broadcasts. Both segments must use the same access method, which means that you can't connect a token ring segment to an Ethernet segment. Repeaters can connect different cable types. RFC (Request for Comments) - The standards upon which the Internet is based, including all of its common protocols, are described in numbered documents known as RFCs. They are published and coordinated by the Internet Engineering Task Force (IETF). RID Master (Relative Identifier Master) - With regards to Active Directory, the RID Master works with domain controllers to assign unique SIDS to each object that requires one. Each object gets a domain SID that is common to all objects in a domain. What makes SIDS unique is the RID which is unique to all objects in the domain. The RID Master is also responsible for removing an object from its domain and putting it in another domain when an object is moved. Rights - A user right is authorization to perform an operation that affects an entire computer rather than a specific object on the computer. User rights are divided into two categories: logon rights and privileges . Logon rights control how human users and other security principals are authorized to access a computer—at the keyboard, through a network connection, as a service, or as a batch job. Privileges control which users are authorized to manipulate system resources—by setting the computer's internal clock, for example, by loading and unloading device drivers, by backing up or restoring files and folders, or by doing anything else that affects the system as a whole. RIMM - A RIMM is a form of memory connection much like a SIMM or DIMM. RIMM stands for Rambus Inline Memory Module and is used for RDRAM memory. Ring Topology - A ring network is a Local Area Network where each network computer and device are connect to each other forming a large large circle (or similar shape). Each packet is sent around the ring until it reaches its final destination. A break in the circle can cause performance and connection problems. Ring networks aren't very common anymore. Token Ring/IEEE 802.5 and FDDI networks use ring topologies. RIP (Routing Information Protocol) - RIP is a distance vector dynamic routing protocol. RIP measures the distance from source to destination by counting the number of hops(routers or gateways) that the packets must travel over. RIP sets a maximum of 15 hops and considers any larger number of hops unreachable. RIP's real advantage is that if there are multiple possible paths to a particular destination and the appropriate entries exist in the routing table, it will choose the shortest route. RIP is best used on smaller networks as larger ones can have so many entries in the routing table that the network performance can suffer. RJ-11 - Short for Registered Jack-11, a four or six-wire connector used primarily to connect telephone equipment in the United States. The cable itself is called category 1 (Cat 1). RJ-45 - Short for Registered Jack-45, it is an eight-wire connector used commonly to connect devices on Ethernet LANs. RJ-45 connectors look similar to RJ-11 connectors used for connecting telephone equipment, but they are larger. Rogue Access Point - This term most often refers to unauthorized access points that are deployed with malicious intent. But in general, it would refer to any unauthorized device regardless of its intent. Types of Rogue APs could include one installed by an employee without proper consent, a misconfigured AP that presents a security risk, AP from neighboring WLANs, or one used by an attacker. To prevent the installation of rogue access points, organizations can install wireless intrusion prevention systems to monitor the radio spectrum for unauthorized access points. ROM - ROM stands for Read Only Memory and is non-volatile. This means that the information is stored even when the power is turned off to the computer. An example of this would be the computer's BIOS settings that are retained even when the computer is off. Recent advancements in EEPROM technologies have produced Flash ROM chips that can be updated from a disk or over the internet. Router - Functioning at the network later of the OSI model, a router is similar to a switch, but it can also connect different logical networks or subnets and enable traffic that is destined for the networks on the other side of the router to pass through. Routers create or maintain a table of the available routes and can be configured to use various routing protocols to determine the best route for a given data packet. Routers can connect networks that use disimilar protocols. Routers also typically provide improved security functions over a switch. RTP – Real-time Transport Protocol works at the Application Layer of the Internet Protocol Suite and is the audio and video protocol standard used to deliver content over the Internet. RTP is used in conjunction with other protocols such as H.323 and RTSP.